Wild Leopard brooch strass FROM PARIS WITH LOVE! 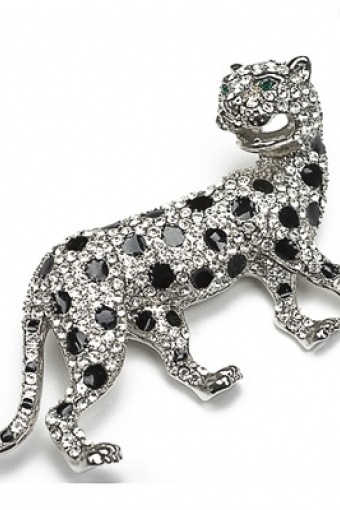 Unleash your wild side with this edgy bling bling leopard brooch! Made of gold coloured metal, red strass eyes, white strass body and black enamel spots. Grrrr. Shown here with our Lily Black dress.